Minority car buyers who arranged loans through their dealers with Ally Financial were the victims of discriminatory lending practices, according to a federal probe. Minority car buyers were victims of discriminatory lending practices on their car loans, according to federal authorities who have reached a $98 million settlement with Ally Financial. Federal officials said that Detroit-based Ally Financial and Ally Bank charged higher interest rates from about 235,000 car loan borrowers who were Hispanic, African-American, and Asian/Pacific Islanders since April, 2011. The Justice Department and the Consumer Financial Protection Bureau said an investigation into Ally's lending practices found that car dealers who arranged loans were allowed to mark up the interest rate over what would be justified by their credit profile. The dealers and Ally split the additional interest payments. On average, the minority customers paid an additional $200 to $300 each over the life of the car loan. Ally will pay an $18 million penalty in addition to $80 million to compensate customers. Those customers will be identified by the agency and contacted without having to apply for any relief. "We are returning $80 million to hard-working consumers who paid more for their cars or trucks based on their race or national origin," said Richard Cordray, the federal consumer protection agency's director. Federal officials said they are not alleging the discrimination was deliberate. Ally issued a statement saying its dealers' contracts doesn't include information on a consumer's race or ethnicity, and that it doesn't believe its dealer network was deliberately discriminating. "Regardless, Ally takes the assertions by the CFPB and DOJ very seriously and has agreed to the terms in the orders," it said. Car loans are the third largest source of consumer debt, behind housing and student loans. 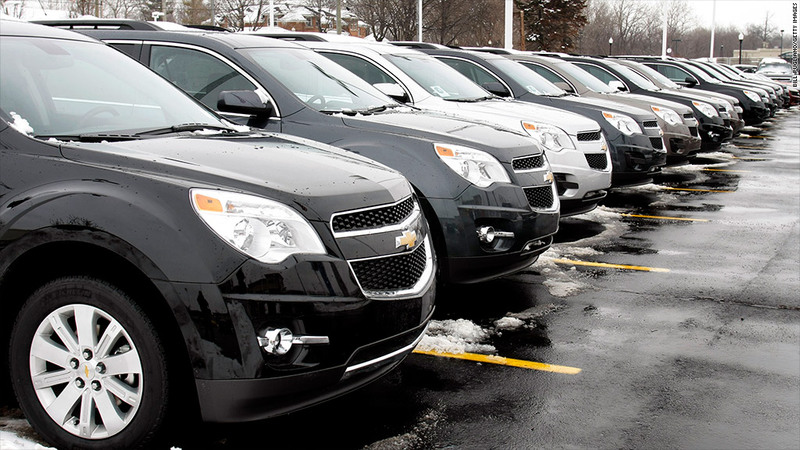 This is the largest settlement ever involving discrimination in auto financing. Though car dealers were involved in charging higher interest rates, the CFPB could only take action against Ally. The agency, which came into existence in 2010, is explicitly prohibited from taking action against the dealerships. The National Automobile Dealers Association denied that its members are engaged in any kind of discriminatory lending practices, which spokesman Bailey Wood term a "toxic allegation." He said that other studies have showed that dealers arrange loans at a lower interest rate than direct lenders, such as banks and credit unions. He questioned the investigation that the CFPB performed to determine that minority car buyers had been hurt. "The CFPB continues to withhold the secret methodology it uses to determine whether unintentional discrimination has occurred," he said. It also did not extend the investigation back before April 2011, even though Ally in one form or another has been making car loans for decades. Ally was formerly known as GMAC when it was the lending arm of automaker General Motors (GM). It was spun-off as a separate company in 2006. Ally received a $16 billion bailout as part of the federal government's auto industry rescue in 2008 and 2009. The U.S. Treasury still owns a majority stake in Ally, as it awaits the bank's plans to sell shares to the public in order to recoup some of the bailout money.